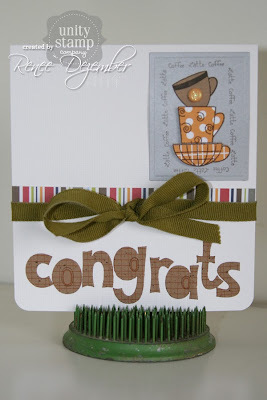 It is what it is...: ...just a quick card! I had to make a quick card and get it delivered yesterday...we got there just in time too! ...and be sure to check out the GIVE-A-WAYs this week over at the GCD Studios Blog - they are happening all week! (just click on GCD Studios and it will take you right there). Such a cute card!! :) Hope you have a good day!